One of the first things to consider when selecting a Virtual Private Server (VPS) is the choice between a managed and an unmanaged one. All major hosting companies offer both types today, which one if better for your company or domain? The difference between a managed and an unmanaged server is often poorly understood, and clients are usually unaware of the actual services included in the management package. In order to make the right choice, you will first have to decide how you plan to use your server. In this article, we will go through the most important 5 things to consider in advance. The price is usually the first criteria considered by people before buying a service. Obviously, an unmanaged VPS is cheaper than a managed one, but the price must be put in perspective. The added cost of a managed service depends on the hosting company and some providers offer it really cheap. If the gap is small, it might be wise to add it even if you’re not entirely sure that you need the package. Sometimes, a cheap unmanaged VPS might even prove to be more expensive in the end. If the performance is low, there are frequent downtimes or security is compromised, such a server will end up costing you a lot more than a managed service. The Internet is an insecure place and even the world’s top companies are breached by hackers. In order to protect your privacy and data, you’ll have to implement strict security policies and always keep your applications updated. Even if you have good technical skills, your server might be vulnerable if you manage it yourself because you’ll probably react too slowly to protect it against the latest attack vectors. In addition, managing security on your own can be very time consuming and even stressful, since new hacks and ransomware exploits are being identified all the time. By contrast, a managed VPS is a lot more secure because it is administered by a team of professionals who always follow the latest news and strict procedures are in place to apply patches and respond to threats. One important thing to consider is how often you want your applications to be updated. All platforms are constantly improved with new features and tweaks for better performance. If you plan to leave your website unchanged for a long time and only apply security updates, you might be able to handle it on your own. However, moving to a new version is usually a difficult task and requires solid Linux skills. Mistakes in the syntax of configuration files can bring your site down and even cause permanent loss of data. With a managed VPS package, you can always ask the hosting provider to upgrade your platform to the latest version. Depending on the nature of your site, high availability might be critical. It might not be as important if your site is a simple presentation one, with few visitors. However, website downtime can hurt the image of a company and make it look unprofessional, even a personal blog or forum will quickly lose popularity if it’s not always online. In such a case, a managed VPS is always the better solution because it is built on high availability infrastructure that guarantees very little or no downtime. The system administrators will monitor your server at all times and respond to alerts in a timely manner in order to fix issues such as stuck services, memory problems, high CPU load or unusual traffic spikes. You can also rely on their advice on how to optimize your application and you’ll be alerted if more resources are needed. Modern systems allow instant allocation and resizing, in most cases a restart is not needed so the site remains up during the maintenance. A managed VPS package means that you’ll have IT support available 24/7, by email or phone. The amount of support included is not the same for all companies, so make sure you know what you’re paying for. Technical support might prove invaluable in many situations. Even if you are a tech savvy guy, you might want to avoid time-consuming tasks such as troubleshooting mail delivery issues or investigating firewall logs to identify potential attacks. In addition, managed hosting usually includes additional services, such as automatic backups and restoration. 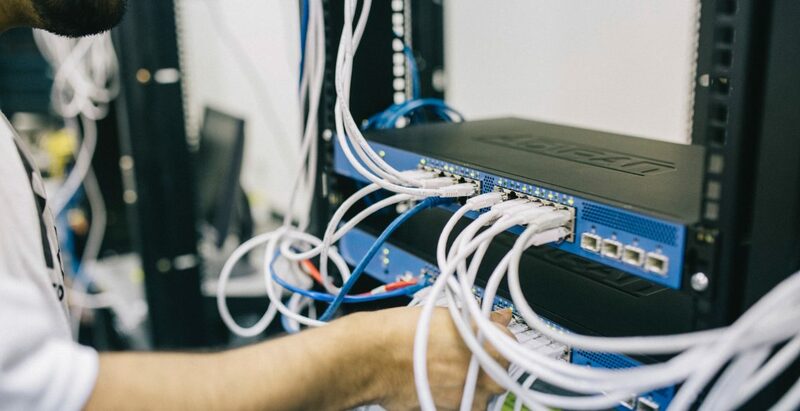 Of course, there is also the option to choose an unmanaged VPS and pay an expert every time when you need support, but this might be a more costly option with a much slower response time. There are a few cases when you should go with an unmanaged VPS, if you have solid IT knowledge and either a very tight budget or a simple site that won’t require many updates. However, managed hosting is the best choice in most scenarios and well-worth the added cost. Here at tmzVPS, the support we’re able to offer to our customers is unmatched in the managed VPS industry. As always, if you’re in need of managed VPS, we’re here to help. You can check out our affordable plans here.